Apothecary Candy Buffet Jar. H-10", Pack of 6 Discounts Apply ! 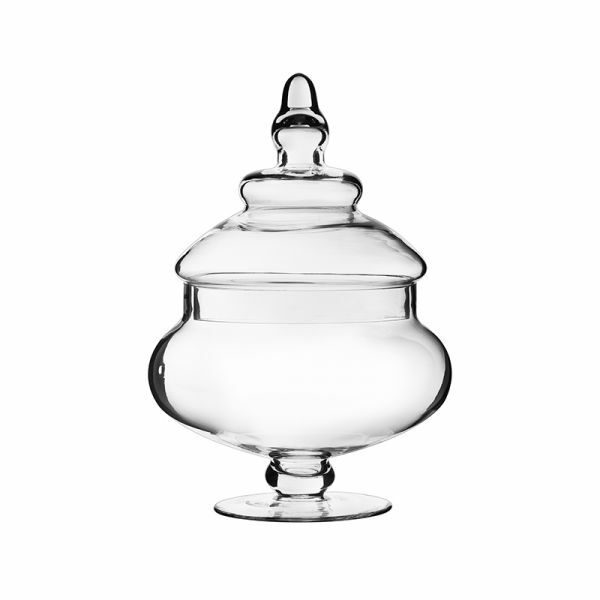 This Apothecary Jar is perfect for a wedding candy buffet. Can't seem to fill a void in your house? Fill this glass jar with your favorite fruits of the season or your impromptu posies to showcase your unique style to your guests. Utilize this decorative glass jar to generate warmth to your home d?cor by adding dried pumpkins, pine cones, maples leaves to instantly transform your space into a welcoming gathering place this fall. Create a dramatic centerpiece for your foyer. Juxtapose it with two different styles to create a dynamic trio display for the entry console. Dimension: H-10", Open D-5.25", Body Width-7"